Congratulations! You are finally moving into your new home. 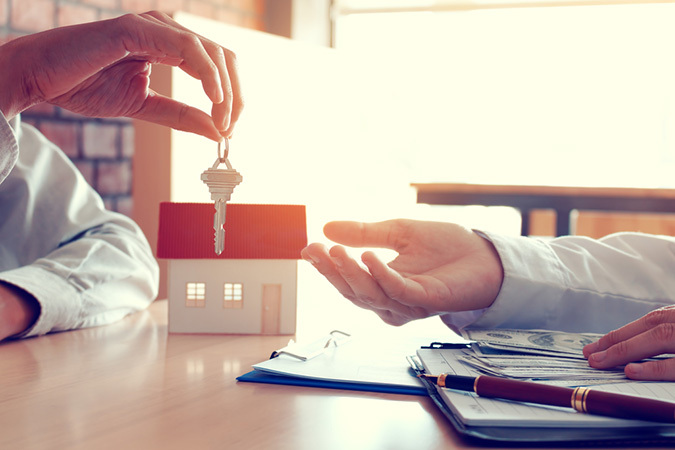 The process of purchasing the house and making other major financial decisions was likely a stressful time, and now you have a second set of challenges as you adapt to the new space—and adapt the new space to you. You have a lengthy checklist of basic chores ahead: changing addresses, putting in new locks, arranging for inspections of the electrical system and the heating and cooling, checking the security system, and meeting the new neighbors. Once you’ve got these tasks done, you’ll face a few larger choices about the design and look of your new home. You were probably already considering possible remodeling ideas when you were doing your house-shopping, but now you can get down to actually making the alterations. We have a list of changes we recommend making when you move in—things more complex than purchasing new furniture and shelves from a store. Window treatments often get overlooked when new homeowners move in. But changing out old curtain windows for shutters and blinds can make an immense improvement to the interior beauty of a house. They can also work at controlling light and helping to avoid extra heat in the house. Older materials can be changed out for newer and brighter ones. Windows are a great way you can express individuality! Lighting changes are one of the most cost-effective ways to give a new look to a house without massive expense. For example, you can take older fixtures and have designers install sleek recessed lighting. Homeowners can find ways to create better task lighting that isn’t glaring, potentially by changing all the lights from incandescent bulbs to energy-saving LED lights. Your designer can help you discover how to make lighting that is both functional and attractive, so the new home pops to life. Putting a coat of paint in a new color is another inexpensive way to freshen a room and brighten it. Have the wallpaper pulled off and get a new start with painted walls. Be cautious about trying to do this yourself, however, as some paints may negatively affect your indoor air quality with chemicals and volatile organic compounds. Let the remodelers you hire for other projects take care of getting the right paint for your needs. When it comes to major remodeling projects to undertake for a new house, the two places we recommend you concentrate efforts are the bathrooms and the kitchen. These are important functional areas, and the kitchen is often at the center of the house—the way it looks affects the way everything looks. Take out old countertops and put in marble, quartz, or tile. Change a single-bowl kitchen sink with multiple bowls, maybe add a sprayer. Put in a new garbage disposal. Replace older toilets with low-flush models. Try luxury shower and tub options. Alter the cabinetry to create more storage space and an open appearance to both rooms. This doesn’t have to be a whole-house project, but often older homes have worn out and outdated carpeting, vinyl, and tile flooring. Schedule the project with the contractors so they can go one room at a time and not create a major disruption for while you’re settling in elsewhere. You can find the design and construction work you need for these home remodeling jobs at Advanced Builders & Contractors. They have more than 14 years of experience offering construction services, including new construction and home remodeling. They use design/build for all projects, which means the architect and builder work together from the beginning so customers get exactly what they’re looking for and within their budget.